This page provides a simple, step by step guide to purchasing with PayPal on the Steam Shower Spares website. 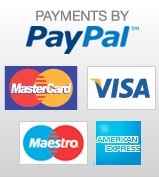 At Steam Shower Spares we use PayPal payment gateway. This is a worldwide recognised and trusted payment system which provide safe and secure online payment. YOU DO NOT NEED A PAY PAL ACCOUNT TO ORDER FROM US. 1. Add items to your Basket until you are satisfied you have all the items you require. 2: In the Basket (My Basket Link at the bottom of the page) you will see the following two options under the list of your ordered items. 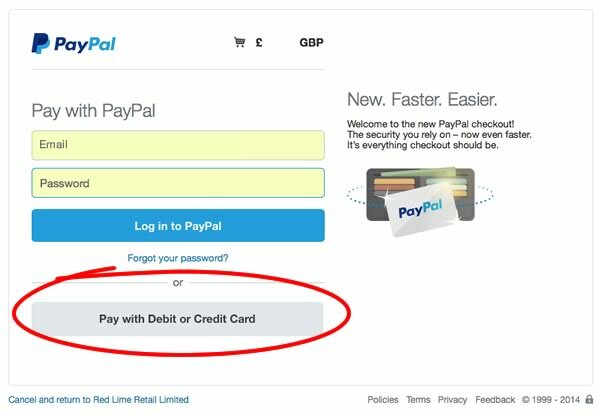 If you HAVE a PayPal account you may wish to select the 'Checkout with PayPal link for speed. Alternatively or if you prefer to pay via a Credit or Debit Card, choose the CONFIRM ORDER link to proceed. 3: On the following page, Register your details with Steam Shower Spares and create to create an Account. If you have an Account already, then enter your email address and password and proceed. 4: After you have confirmed your delivery address, you will be taken to a page to choose the shipping option for your order. Simply select how you would like your order to be sent. 6: You will now be taken to a SECURE page hosted by PayPal. Here you can choose to log in with a PayPal Account OR Pay with Debit or Credit Card and simply enter your card payment details to complete your order. To make a payment without registering with PayPal, select the button as circled below. 7: Finally you will be returned to the Steam Shower Spares website at the end of the payment process.